Belkin AV adapters are simple to use, no external power adapter needed, and automatically converts digital to analog formats. It is fully backward compatible with older DVI equipment and compatible with your existing DisplayPort enabled display or projector. 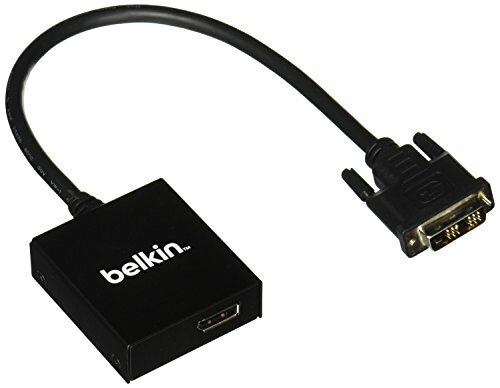 Belkin F2CD065tt DVI to DisplayPort Adapter offers a low cost solution to convert your DVI enabled desktop/laptop PC or MAC to display monitors. No drivers or software needed while saving the expense of high cost docking stations that requires software upgrade for compatibility.